First published in about 1895 this book would have been funded by the advertisements that form two thirds of it. Today they are at least as interesting to the local historian as the rest of the book, giving us a considerable insight into local businesses at that time. The section on municipal government is most interesting, history they say repeats itself. Ironically the people of Ramsgate had recently managed to wrest local government from Sandwich just as we are in process of wresting it from Margate at the moment, as you will see their achievements were considerable the political arguments of the time could almost be from today. I was incredibly lucky to find a copy of the original to share with you all in this way, it is a very scarce item. I can't find another copy listed anywhere. Its not in the British Library catalogue or the Kent Bibliography, I believe there was a copy in Ramsgate library. In the past when I have produced books of this type I have been able to copy the images in a different way to the text. With this one however due to the shapes of the pictures and the way they are integrated with the text I have had to use a compromise copying them both in the same way. I would have liked to have made the text a bit sharper and more defined but I am afraid this was just not possible. I have made it as much like my original as I could only adding 1895 to the title page the publishing details on the verso and these notes catalogue Etc. at the back. 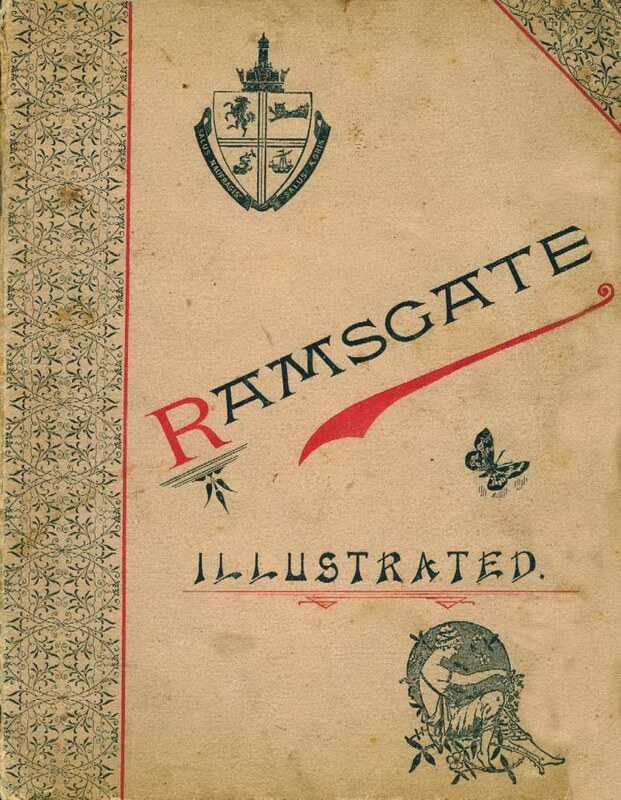 I am sure you will agree with me that this is a delightful Ramsgate book similar in many ways to our publication the 1905 guide Ramsgate and Broadstairs by Pen and Camera that has been a great success pleasing many of you. This is my 91st publication nearly all of them being related to this area I hope they are helping to compensate to some degree for the lack of a local collection in the town, due to the library fire. I have also managed so far to stick to my original remit of keeping them all priced under £10 so that most people can afford to buy them. I am also endeavouring to make more of the material available free on my websites michaelsbookshop.com and thanetonline.com bit of a mission really.